A cheese of semi-hard consistency, smooth texture with small eye formation which has been cured in grape no less than 10 days. 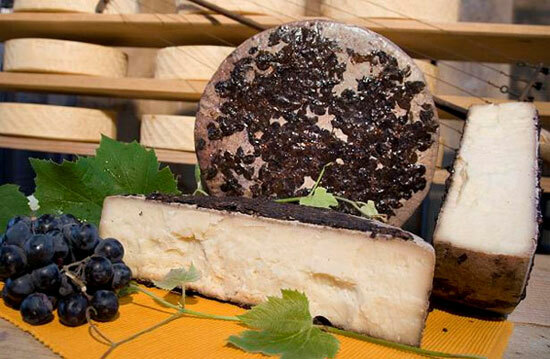 This cheese is made from cow’s milk cured with the “must” from a variety of wines. All milk is produced exclusively by cows that graze on the fertile Alpine foothills of the Provinces of Belluno and Treviso.